CyclingAbout started as a little travel blog but quickly snowballed into one of the biggest bicycle travel resources in the world. Cycling and travel are my two greatest passions, and I can’t express how happy I am to be able to share all I know with you. Once in the CyclingAbout vortex, you’ll find yourself absorbing high doses of cycling content that’ll inspire you to experience the world like I do. This website is home to the web’s most detailed tech resources, oodles of inspiration, in-depth reviews, fun videos, tips, how-tos and more. If you would like to support my mission to create independent bike travel content – it would be greatly appreciated! 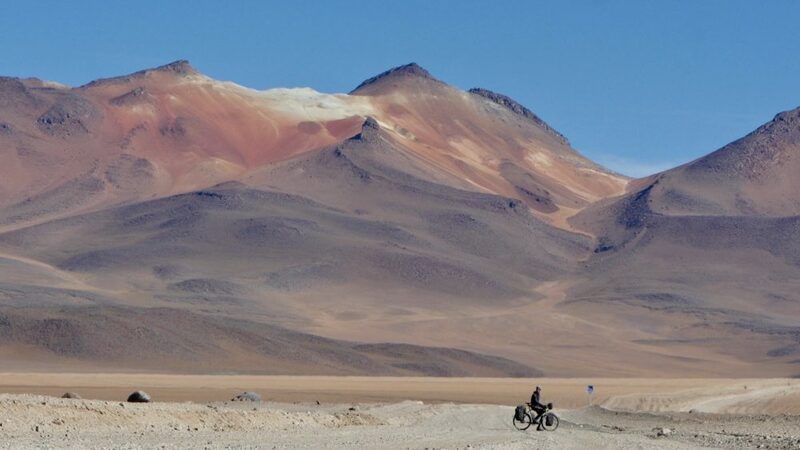 Cycling through Southern Bolivia is one of the most incredible experiences you can have on a bike. My name is Alee Denham and I’m a bike, gear & travel nerd. Can you believe I’ve now been to almost 80 countries by bicycle? I love learning, writing, educating, sharing and inspiring others to travel by bike. I’ve created a page with a bit more about my background and experiences HERE. I wrote a book to help people travel by bike. I remember when I first started out I was lost and overwhelmed by the sheer volume of bike travel information out there. So, after my own two-year bike trip through 31 countries, I made the simple book I wish I had when I started out. It is, without doubt, the fastest and most inspiring way to learn how to conduct your own trip, as it removes so much of the guesswork. You can grab your copy HERE. This book is an overview of all of my touring bicycle knowledge condensed into a simple and easy to read book. It will help you understand the most important characteristics of a touring bike, learn how to narrow down your choices and finally compare the sizing, steering and gear ratios of 100+ current touring bikes. And every year I add the latest touring bike models to this book free of charge! I’m super proud of this guide, you can check it out HERE. Find exactly what you’re looking for by browsing a text list of EVERY article I’ve ever published in the Article Directory. The information that I specialize in most is around touring and bikepacking bikes. Folding bikes are one of my favourite ways to see the world. There’s no better way to mix public transport and cycling where you get to ride the best bits and skip the rest. Just fold up your bike, throw it under the bus and you’re good to go. 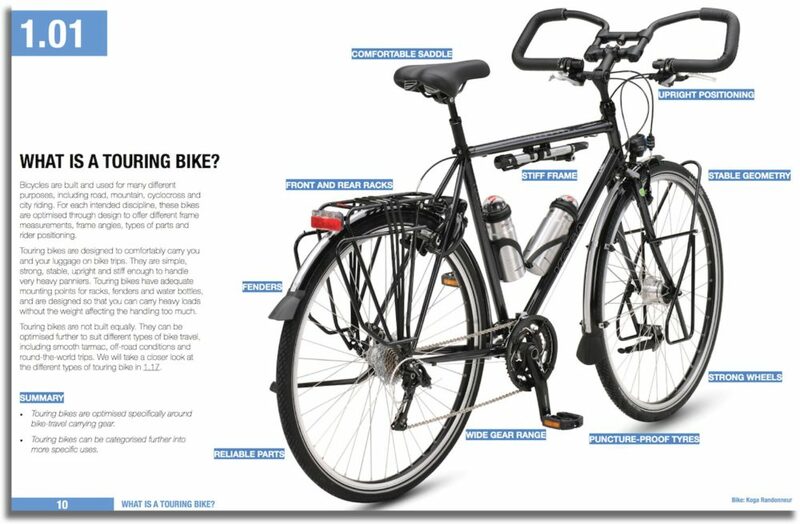 My folding bike resources can be found HERE. Short on time? Want to skip the boring road sections and get to the good stuff? 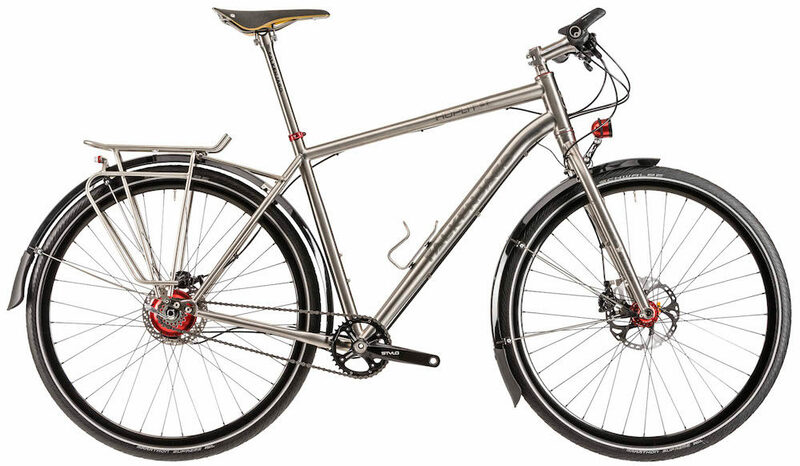 You want a folding bike. I’ve ridden through dozens of countries on a tandem touring bike. Over the years I’ve written everything you need to know in order to start touring on tandems too. My most popular resources are Tandem FAQ and Tandem Tech. 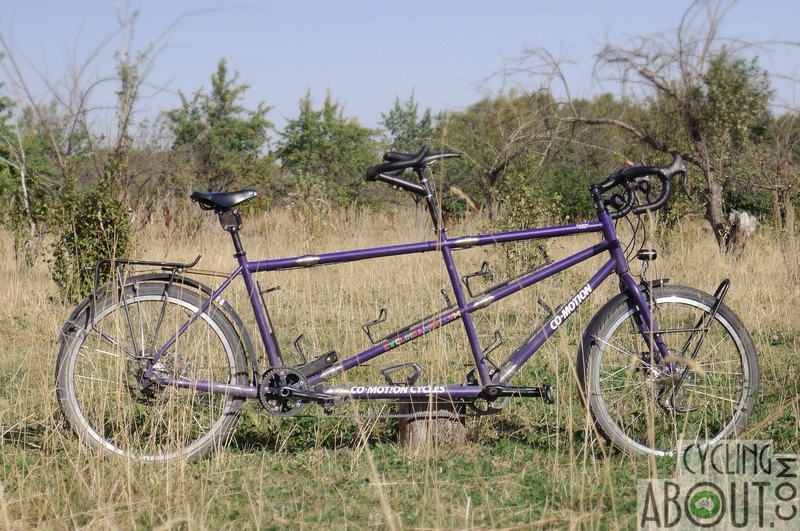 Tandem bicycle touring is one of the best ways to experience the world with a friend or partner. You can find the dozens of gear and part reviews that I’ve written HERE. I’ve documented lots of my own trip planning! A great place to start is my page about what I plan before starting, what I plan along the way and all of the things I like to improvise. It’s found HERE. I carry 25kg of gear on my multi-year bike tours. This is the full breakdown of the gear I’m currently lugging around. I have other gear lists I’ve used for other tours HERE. 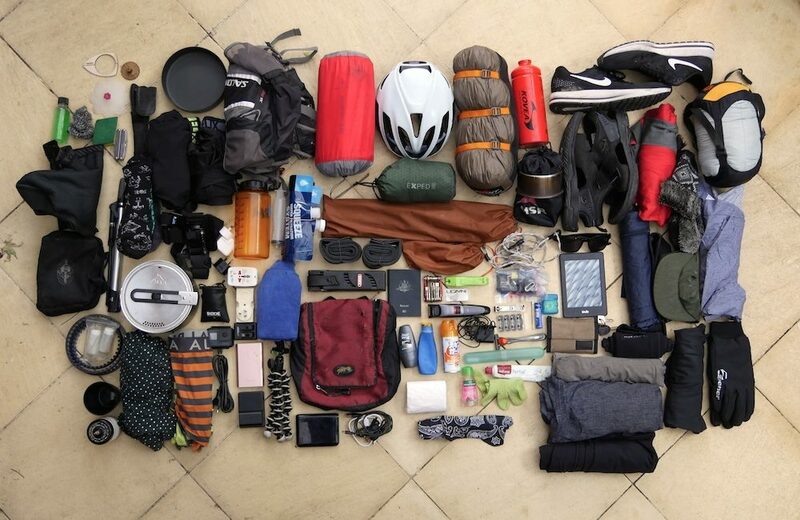 Check out my gear list for ideas on what to carry for a two-year bike tour. I’ve learnt so many things over the last 100,000km of bicycle touring around the world! You can find all my travel tips HERE. 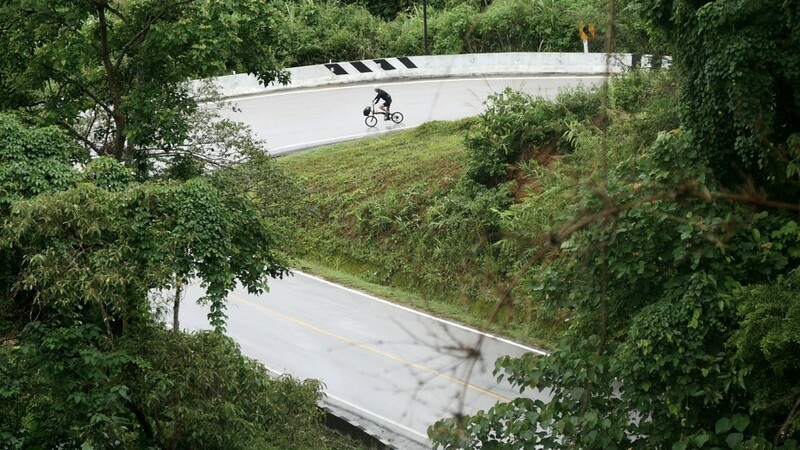 You can learn how to ride around the incredible Mae Hong Son loop in my Travel Tips section. I specialise in making bike travel videos to inspire you to get out there and enjoy the world by bike. My latest series is called CyclingAbout The Americas and you can watch all of the episodes free of charge HERE.